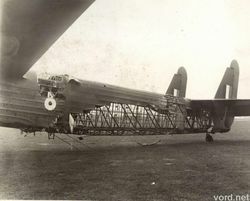 This series of photographs details the damage to a Handley Page Harrow which appears to have returned safely to base following a fire that removed much of the fabric covering on the fuselage. I don't have the history to go with these photographs, but it's possible these photographs were taken in late 1940 when 609 squadron was based at Middle Wallop. If that were the case, the Harrow may have belonged to 93 Squadron which formed at Middle Wallop from 420 Flight in 1940. It's difficult to confirm this as the identification markings have been destroyed in the fire. The marking on the bottom of the door reads K6991. 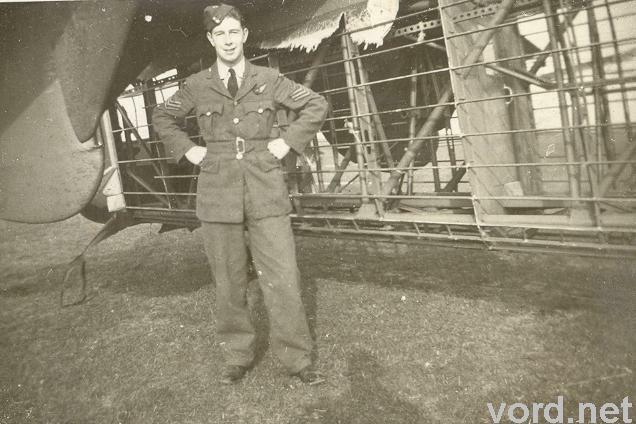 A member of the bomber crew posing in front of the damaged aircraft. 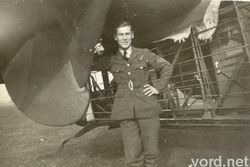 His badge would identify him as a gunner or bomber rather than a pilot. A second airman, again with a half wing badge. 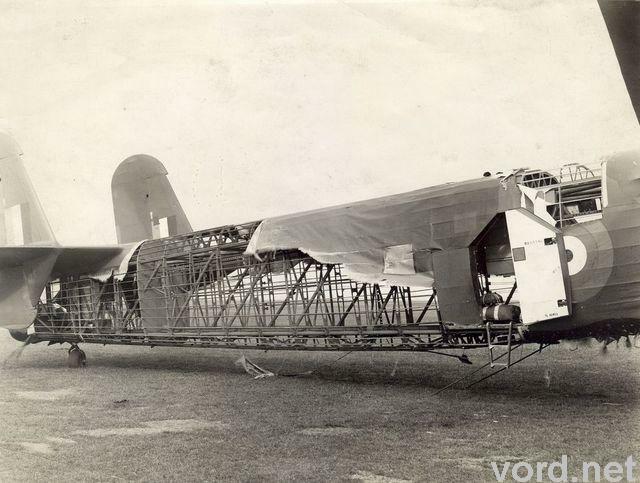 By the start of World War II most Harrows had been converted into transport aircraft. 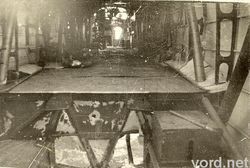 The inside of this Harrow doesn't really look suitable for transport duties which suggests the aircraft was still in use as a bomber. 93 Squadron modified their aircraft to carry Pandora arial mines. 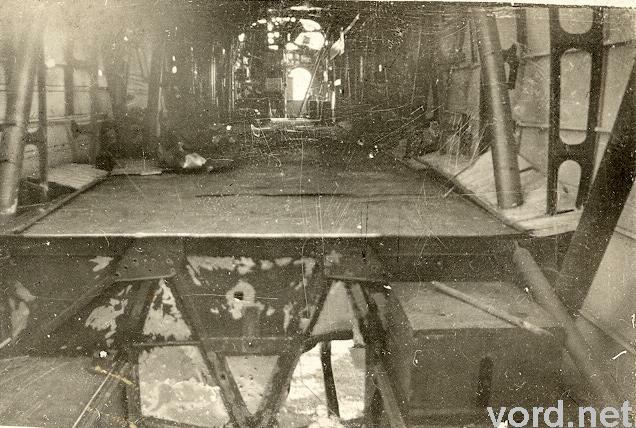 These were small bomblets dropped on parachutes in to the path of Gernan bomber squadrons. I understand the technique was only limited in it's success. 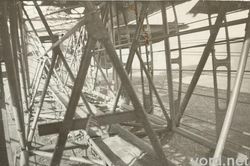 This photograph provides some possible indication to the cause of the fire. 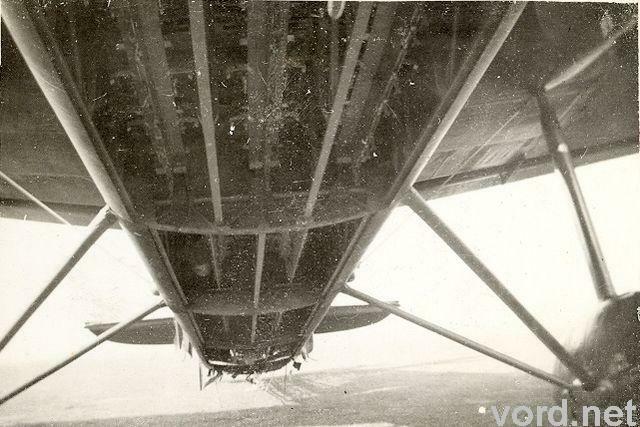 The damage above and below the roundel appears to be more consistant with explosion rather than the fire. 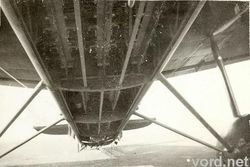 The fire exposed the structure of the aircraft. 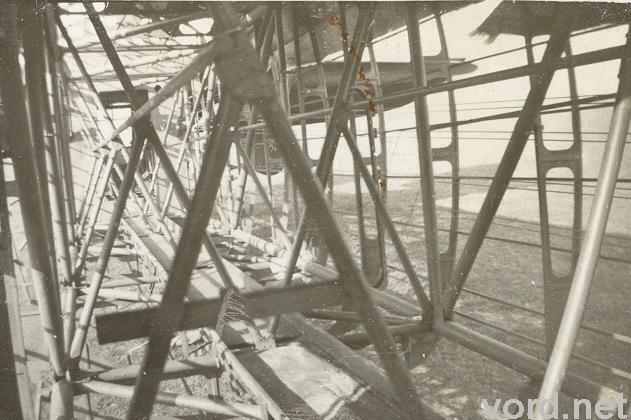 The structure appears to consist of round tubes at each corner with the crossbracing positioned to leave a walkway for the rear gunner. Stringers and ribs supporting the fabric skin are visible to the right.